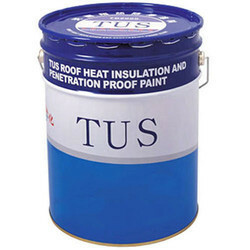 Manufacturer of a wide range of products which include waterproof coating. We are one of the well-known manufacturers, suppliers, and exporters of Waterproof Coating. The offered waterproof coating is widely used for protecting the material surfaces from water and moisture. Our supplied waterproof coating is capable of stopping the penetration of water, inside the membranes of the water roofing coated material. The waterproofing coating is very effective for the protection of paper products. Our supplied water proofing coating forms a protective envelope around the coated surfaces, to prevent water borne damages. Looking for Waterproof Coating ?